Procedure to check final exit visa in Saudi Arabia using MOI and MOL. Ministry Of Interior and Minsitry Of Labor provided so many useful services for Saudi Arabian citizens as well as expatriates in their official website portals. 1. Visit Ministry Of Interior official portal by following the link www.moi.gov.sa You can also click on the service "Public Query of Exit/Re-Entry Visa Status" in MOI website. This service is also used to check the status of Muqeem re entry and exit of individual employee or his family. 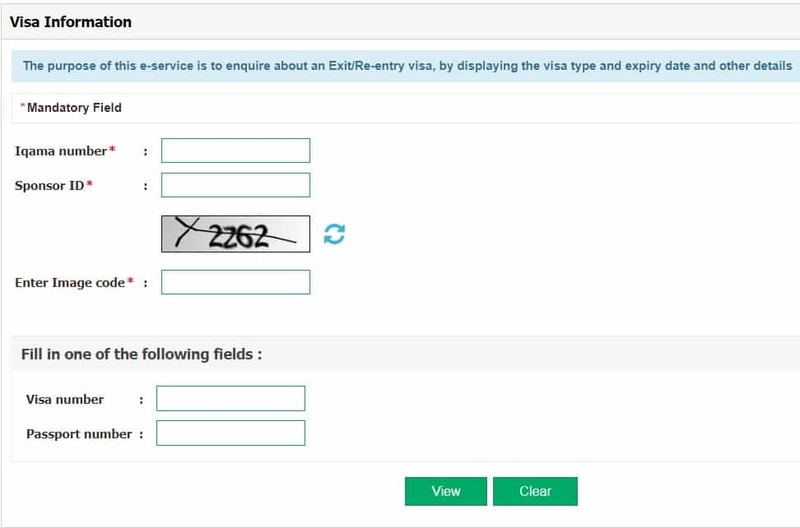 To check your final exit visa status in MOL database, You can use the service of "Checking Nitaqat color" or follow the below procedure. 2. 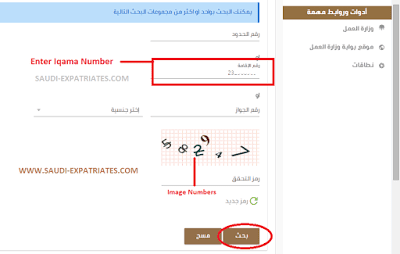 In the second text box "رقم الإقامة", Enter your "Iqama Number" then "Image code" as shown in image in the box "رمز التحقق" and then click right hand side below button "بحث". If your final exit visa is still in the process or you are still working you will see "علي رأس العمل" or "On the Job" status, Referring image below.